Originally printed on November 7, 2018 in the Dundee Courier. KAY Peacefully, at Ninewells Hospital, Dundee, on Sunday, November 4, 2018, Archie, of Blairgowrie, beloved husband of the late Valerie, much loved father of Esther and Linda and step-father of Carla, dearly loved grandad of Tegan and Ciara. Funeral service in Perth Crematorium, on Wednesday, November 14, at 10.30 a.m., to which all friends are invited. 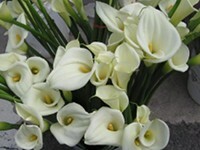 Family flowers only, please, but donations to Ward 32, Ninewells Hospital may be given at the Crematorium.